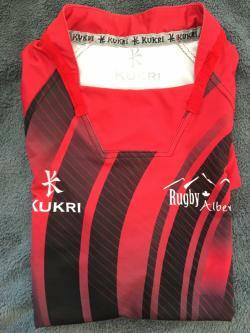 I would like to receive occasional information and updates from Dino's Men's Rugby and jumblebee. 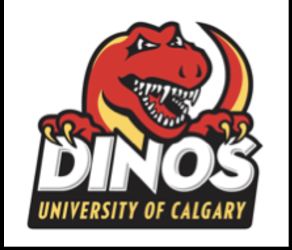 The Dino's men's rugby team is a club rugby team at the University of Calgary. We have been a competitive force in Alberta for over 70 years and are one of the first sports organization in the province, originally being called the Stags. 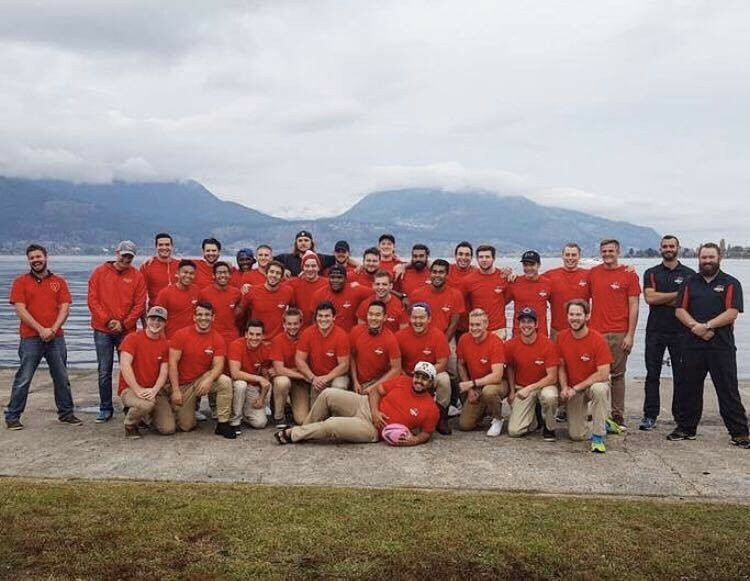 We have won the Alberta interuniversity Canwest trophy for over 10 years in a row and even won 5th place in the University 7s in 2016, placing behind the two teams each from UBC and UVIC. Even with a strong winning history, our funding is strongly dependent on the funds we raise ourselves as we are only a club team currently. 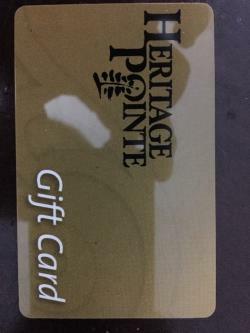 To help with this, we organize many events to help raise money so student athletes have to pay less out of their own pocket and more of the athletes can join the tours and tournaments we participate in and not have to worry about costs. Close. 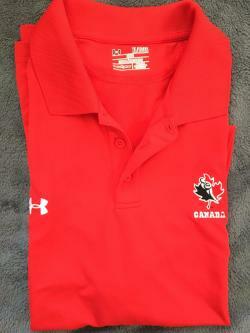 Item was briefly worn in the Churchill Cup tryouts. The jersey is numbered 50. 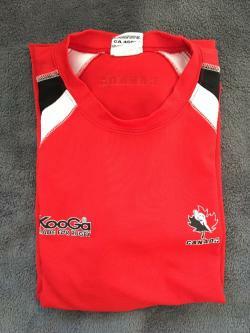 Numerous sizes available of the Training top. 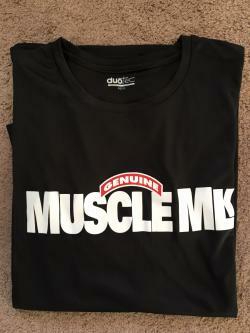 Muscle Mlk is a post-workout protein supplement. 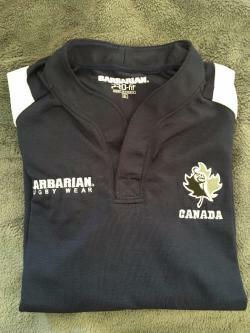 The polo is in pristine condition and never worn. Loose fit. 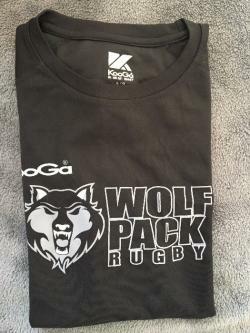 This ultimate wolfpack family fan pack includes 4 shirts. One black men's XL, One Pink ladies' M, One black youth large and one pink youth medium. 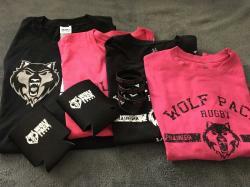 The pack also includes 4 Wolfpack "back your pack" wristbands and 2 Wolfpack beer cozies. 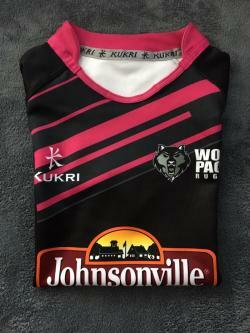 This is an authentic Wolfpack game day jerseys with the numbering 16 on the back. It is a tighter fit. Will fit someone who normally wears L to XL. 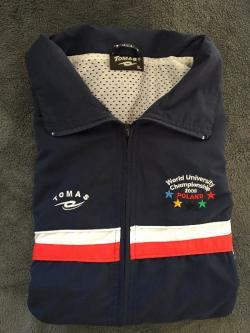 Worn by player in the World University Championship of 2008. In decent condition. Item is brand new. 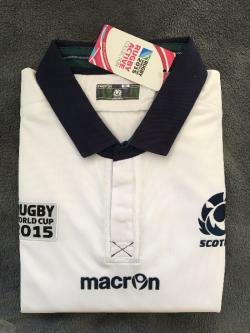 Size is 5XL but macron jerseys are a tighter fit. 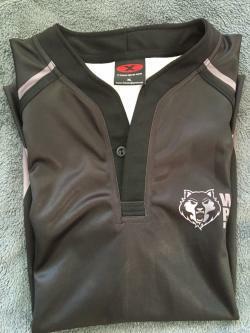 Item is an exclusive game jersey worn in the early 2000s. The jersey is numbered 10. Item is slightly worn but in great condition. 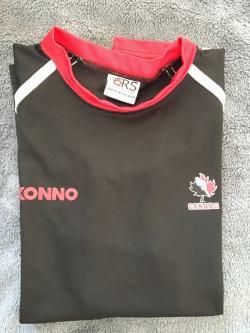 Item was worn briefly during the Churchill Cup tryouts. Jersey is numbered 50. 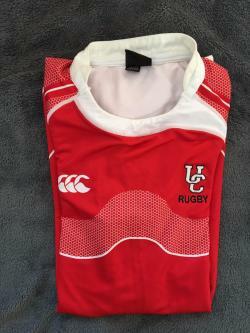 The jersey is brand new with a looser fit. 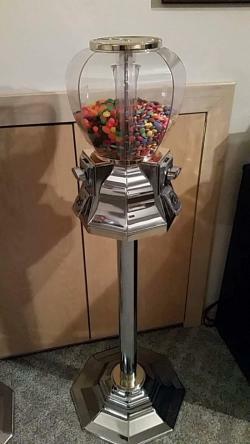 Authentic gumball machine filled with a variety of candy. 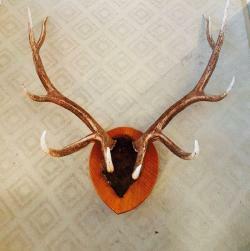 Makes a great addition to any Man or Woman cave and is a great conversation starter. 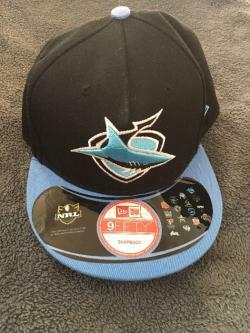 Item is slightly worn but is in great condition. 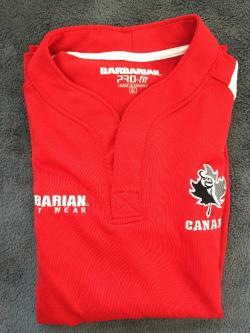 Jersey has been worn once during a game but is in otherwise great condition.